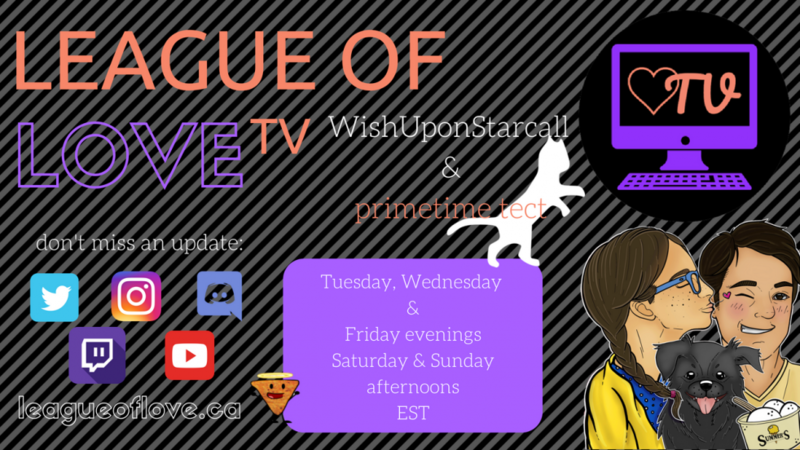 League of Love TV Channel Trailer – Launch Happens Tonight! If you’ve been reading the blog but aren’t sure what our stream will be like, check out the channel trailer we just made (less than 2 mins). We launch tonight at 9pm EST, till 12 am EST. If you can’t make it tonight (as I realize I’m posting this a little a lot late), we will also be on Friday from 6-9pm EST.